The cookie settings on this website are set to ‘allow all cookies’ to give you the very best experience. If you continue without changing these settings, you consent to this – but if you want, you can change your settings at any time by changing the privacy settings of your browser. 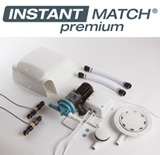 The Instant Match Premium is designed specifically to solve shower drainage problems in modern wetrooms, allowing you to create your ideal bathroom without compromise. 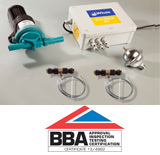 Allows you to easily achieve a step-free showering area in your new en-suite bathroom, wetroom, or converted loft space. Dry-Deck 20 is a well proven and trusted product from Whale that provides the answer for many conversion and renovation projects. The range of shallow pumped gulleys allows installation of walk-in showers and wet rooms in locations where this previously would not have been possible. View our case studies to find out more. Beat the bots. What is 2+2?